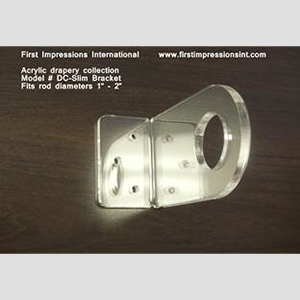 First Impressions International is the premier source for acrylic drapery curtain rods and acrylic drawer pulls and handles. 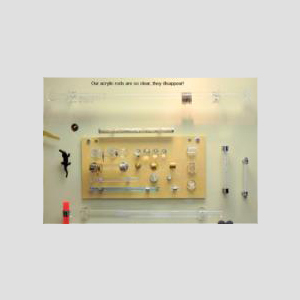 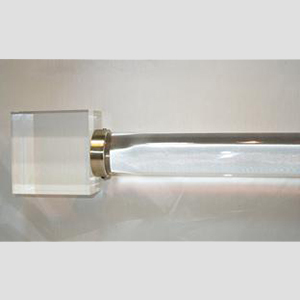 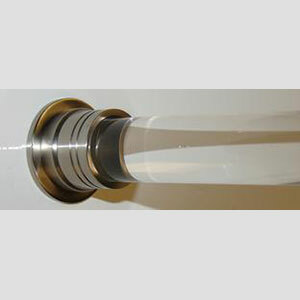 Below you can find dozens of examples of our acrylic drapery hardware and rods. 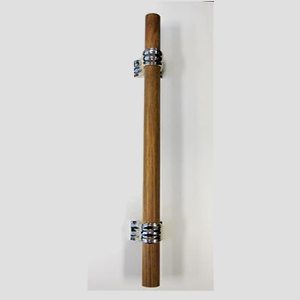 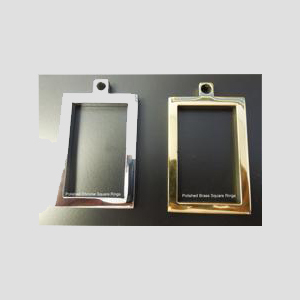 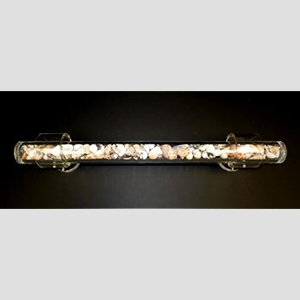 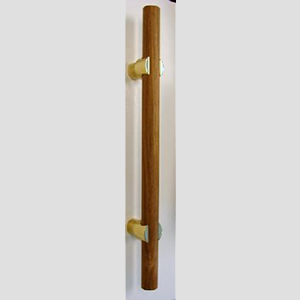 Our full line of acrylic handles and pulls are available in a variety of styles and colors. 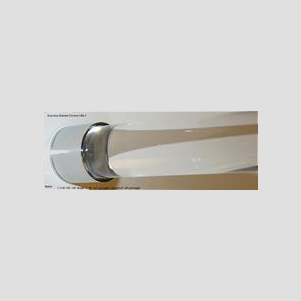 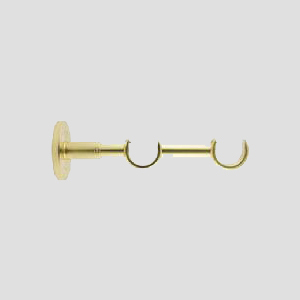 We offer a robust line of acrylic drapery hardware to meet all types of specifications and styles. 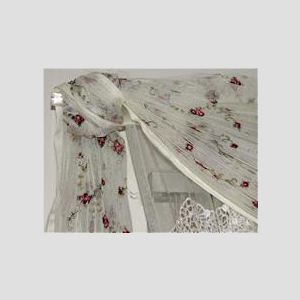 If you don't see what you are looking for please don't hesitate to contact us for a custom order. 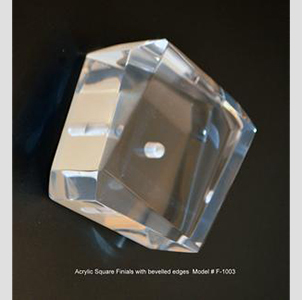 Please note that acrylic and lucite are interchangable names for this clear, attractive material! 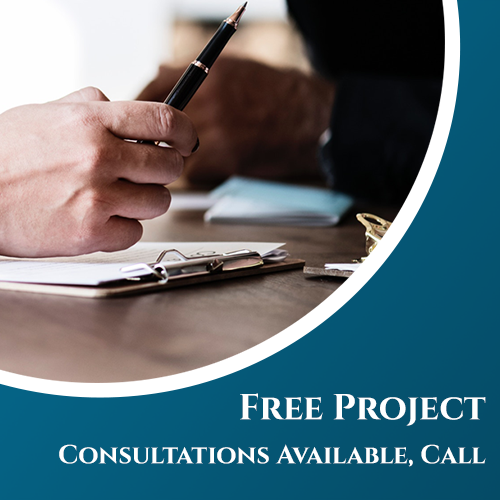 When you find what you like, click on it to make your inquiry and we'll follow up immediately to work out exactly what you need! 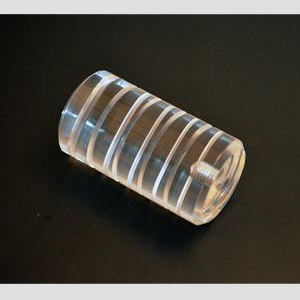 The model # 10W/Sleeve is 1.5" wide and available in sizes from 12" to 10 feet. 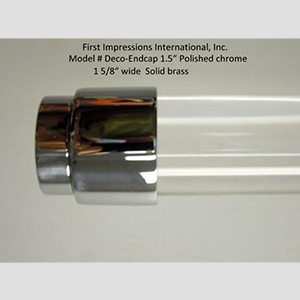 It has stainless steel 4" long sleeves and caps on the end. 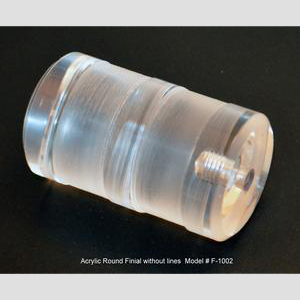 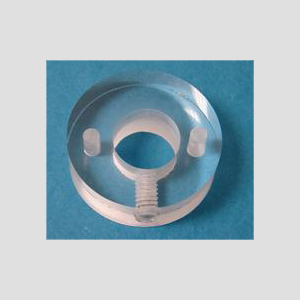 Inside/end bracket in clear cast acrylic, Available for any size rod. 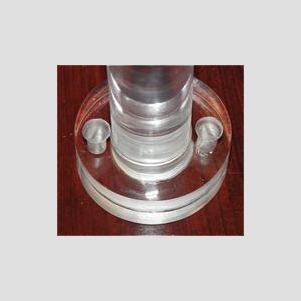 Inside clear bracket and also base to wall bracket. 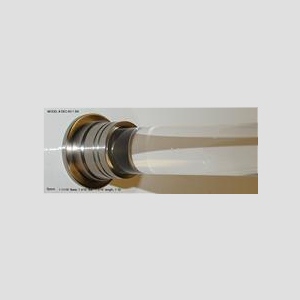 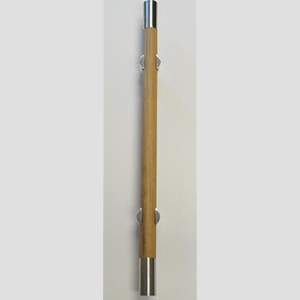 # Sleeve-1 This piece is used to finish end of acrylic rod or used along rod to cover screw/thread holes. 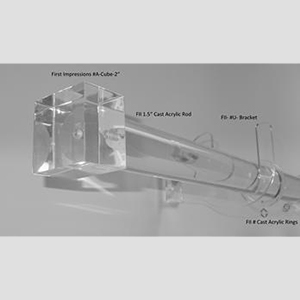 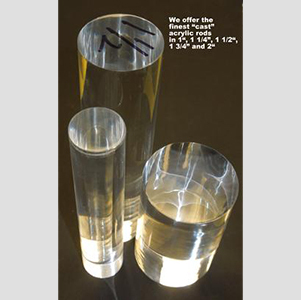 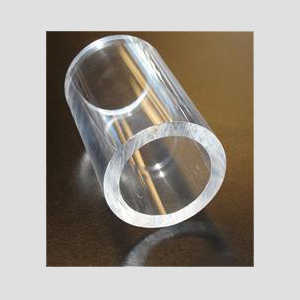 All of our acrylic rods, brackets, and rings are of the highest quality, manufactured using Lucite, which is a resin that was developed by DuPont in 1937. 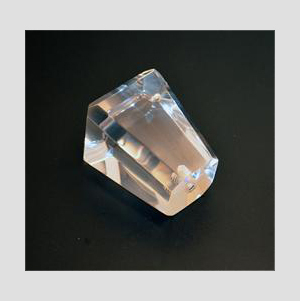 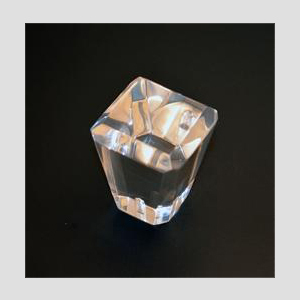 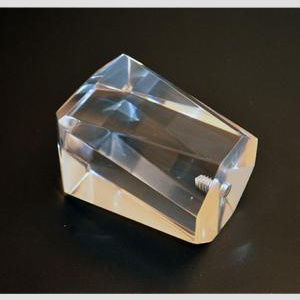 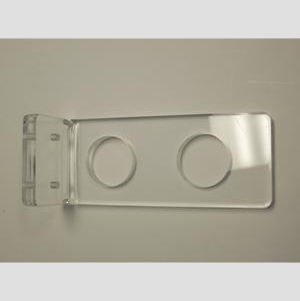 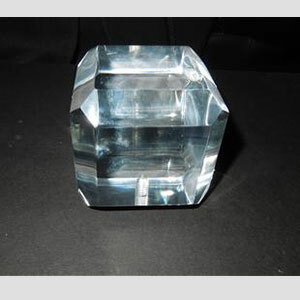 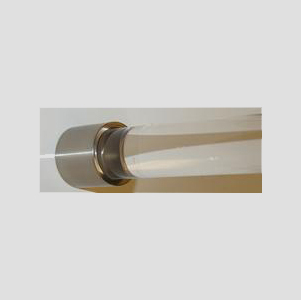 Lucite is used in all of our acrylic products since it is the considered the best acrylic plastic available today. 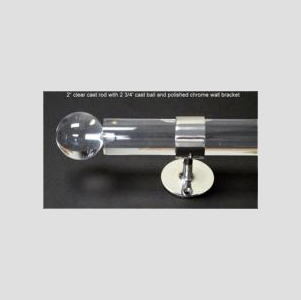 Our acrylic drapery rods, brackets, and rings are all manufactured to be scratch resistant, strong with incredible flexiblity, and aesthetically beautiful. 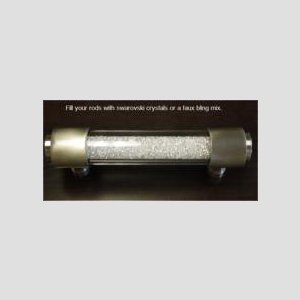 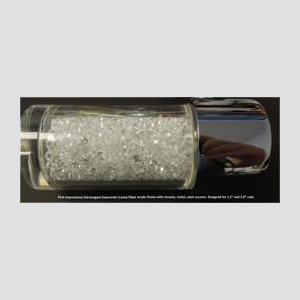 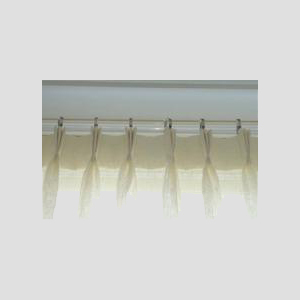 Our acrylic is crystal clear and able to be colored to fit any needs or specifications, we are dedicated to giving you the design that will make your window treatments realize their full visual potential. 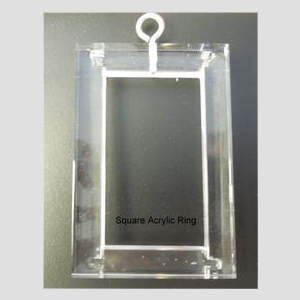 Our acrylic fixtures have many uses throughout the home, mainly due to the strength of the material and its shatter resistant nature. 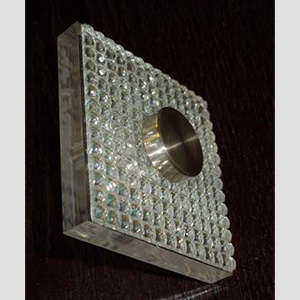 It is both a funcitonal and aesthetic material for any home fixture. 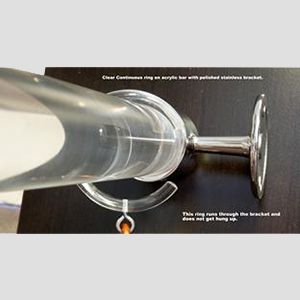 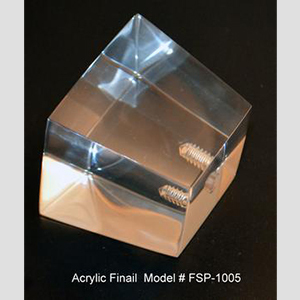 If you don't see what you're looking for here, contact us today for your custom acrylic hardware needs. 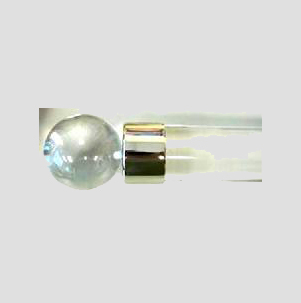 Acrylic Rod, with PC Bracket # C-941 and Acrylic Ball Finial. 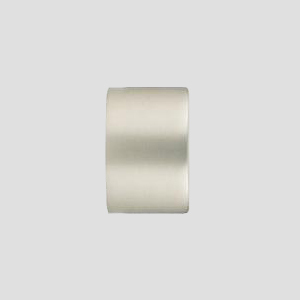 #HD 1.5 Heavy duty solid brass rings avilable in any finish such as chrome or satin nickel. 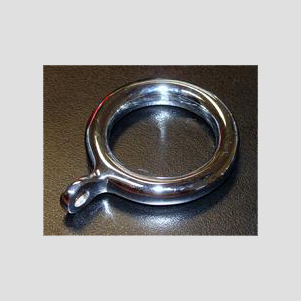 We now have clear brackets and rings. 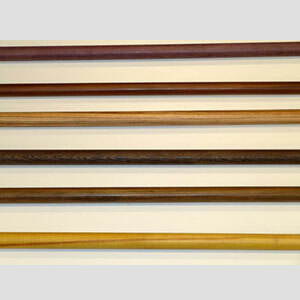 You know the rods there but???? 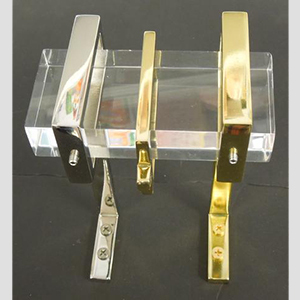 Model # Dec-60-1 satin nickel bracket. 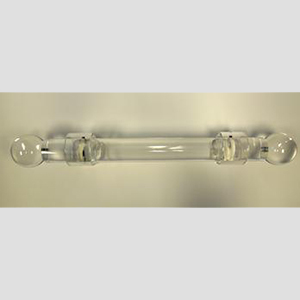 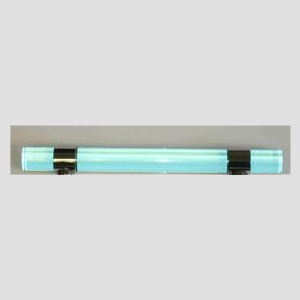 1 1/2" acrylic clear rod. 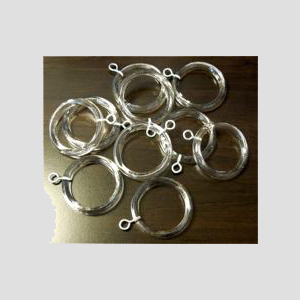 Stainless steel rings. 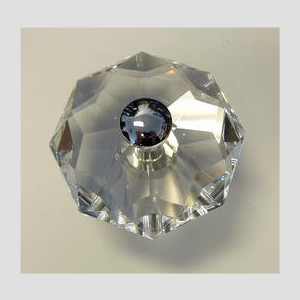 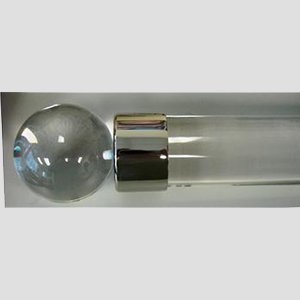 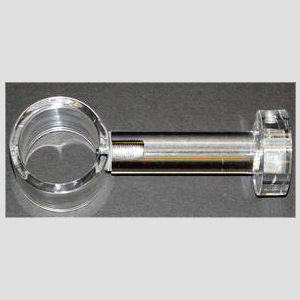 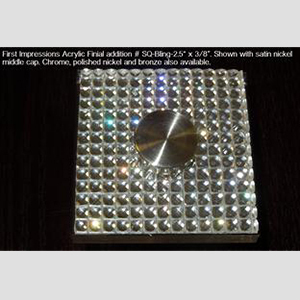 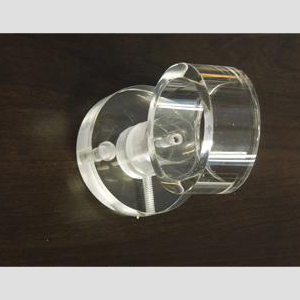 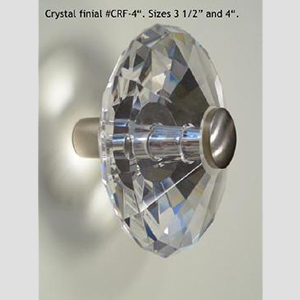 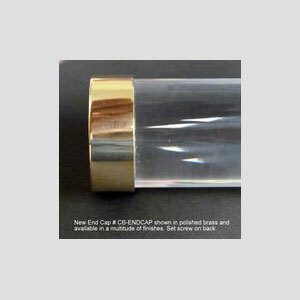 (Discontinued - Limited Stock) This crystal finial (CRF-4") is also available 3 1/2" and available with polished chrome or satin nickel finishing. 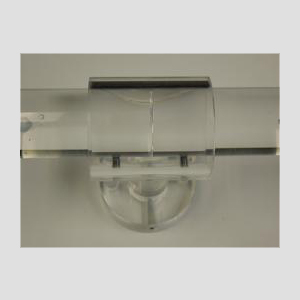 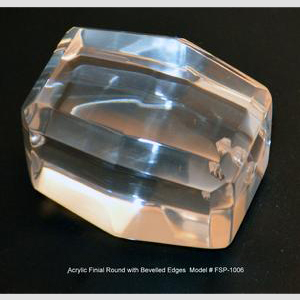 Model ED Bracket- Clear heavy acrylic bracket available in differennt projections. 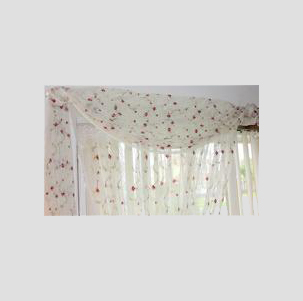 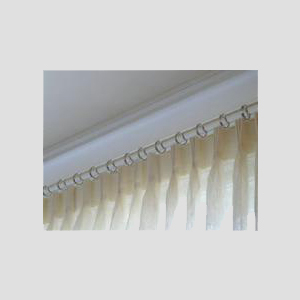 Our new notched clear acrylic rings allow the curtain to open all the way. 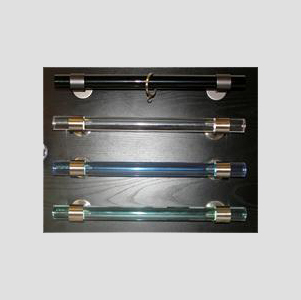 Display Sample of Our Cast Acrylic Curtain Rod, Acrylic Balls and Acrylic Brackets. 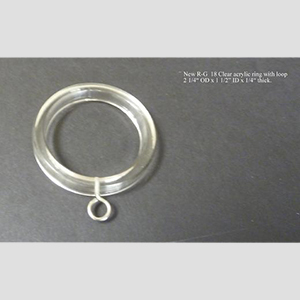 New Heavy Duty, hand made #RG-18 acrylic curtain ring that works with 1 1/4", 1 1/2", 1 3/4", 2", and 2 1/4" rods.